What do you think of the "New" Dragon? As the close of the era of the Dragon of Dojima approaches, home to Kamurocho comes a new dragon! This 40 year old member of the "Akawara" Family has me real curious on what future Yakuza installments hold with this new protagonist. What do you think of our new protagonist? Like him? Hate him? Would you want to date him? Let me know your thoughts. Re: What do you think of the "New" Dragon? I like him. He looks like a change of personality compared to Kiryu intro the direct opposite. Only his debut with a Smartphone online Yakuza Game maybe isn't the perfect Starting Point for an otherwise great looking hero. @Zeraslight wrote: I like him. He looks like a change of personality compared to Kiryu intro the direct opposite. Only his debut with a Smartphone online Yakuza Game maybe isn't the perfect Starting Point for an otherwise great looking hero. The smartphone game is technically gonna be free right? So see it as a way to introduce new people to the series and it's new protagonist who maybe wouldn't otherwise see it due to a differing market. That's a good point! Still I personally don't like Smartphone games at all but since many others do that could be a great way to introduce him actually. I dig the character design a whole lot, the reversed colours on the suit is a nice touch. Hoping the best for the team and the direction they go in, I'm very keen to see how well Ichiban will be received among fans. Maybe Ichiban has a personality between Kiryu and Majima. If I believe the prequel for Yakuza Online, his background is darker than Kiryu's story so I hope that Shin Yakuza shows the shallows of Kamurocho. He looks cool, and seems to have a interesting back story. 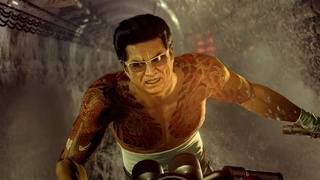 I'm excited to see what him and the Yakuza team bring to the table! Concept of being in prison for 17 years is bonkers tbh. That said there's Taiga too though. I wonder if Ichiban will interact with the other non-Kiryu protags? And his mentor is the opposite of Kazama ! Ichiban has a similar backstory with Kiryu but in the same time opposite because he's not grow up in the high rank of the Clan but in the minor familly (it's not sure). @Michael, in my point of view Ichiban will interact at least in the final chapter with others characters If Kiwami 2 has a poor mode with Majima it's to grind the Dragon Engine with him : I'm sure, he will be playable in Shin. I wish that Saejima and Daigo will be shown. Now, Sega must do a good balance to introduce Ichiban and not forget Majima or others characters. I think we'll play Majima in Osaka (Kiwami 2 was here for that). I think so too. Majimas Story isn't over yet only Kiryus and Harukas. Other Characters don't just disappear so I think they will play some kind of important role. It's nothing new to introduce new Characters in the series. Worked with Shinada and Tanimura too.